Palram Olympia 3m Patio Cover White: This premium Patio cover from the Palram range has a generous roof panel thickness of 16mm compared to the standard 8mm thickness found on other models, it also features 8cm x 8cm square upright poles as opposed to the 8cm x 4cm poles found on other models. 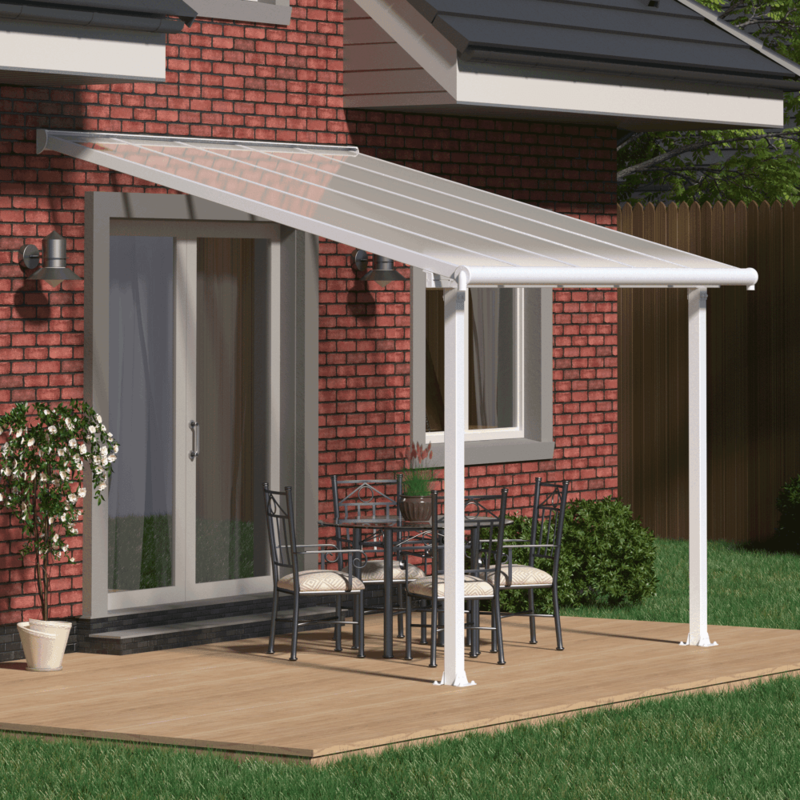 This patio cover attaches to the exterior wall of the house allowing you to extend the garden season by providing you with a protected area to sit and relax even when the weather isn’t going in your favour. The patio cover is available in either grey or white to suit your taste and existing surroundings. The height on this patio cover is adjustable so that you can choose the pitch of the roof and fit the cover above existing doors and windows on the house. Depending on which size you select will determine the amount of upright posts that will be included. Smaller sizes are joined together with the included EZ Link kit which is almost invisible when fitted for a seamless flow.